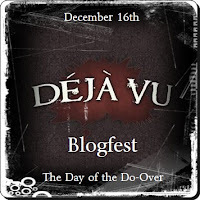 Today is the Deja vu Blogfest Day! Hoorah! I thought I'd re-post something that I wrote in year 2007, the year I started blogging. Why this one? It's because in this post, I wrote about my imaginary friends which I still find amusing to this day. This is the story behind my blog title, Conversations with Self. And no, I did not exaggerate the story. I did talk to imaginary friends...which worried my father. I don't know why, but for some reason, I tend to reminisce a lot about my childhood these days. Last week, it was Caroline (my doll) I was reminiscing about so I wrote about broken toys and then somehow found a way to connect it to broken dreams, etc. This time, though, it's all about this part of my childhood when I had imaginary friends. If you witnessed my childhood, you would probably think I was a looney. But think...children do have imaginary friends, don't they? Or was it only me? (Widens eyes and looks around) Oh, no! Yes, I said toys. I did talk to my toys (although I didn't have much, really) - I remember talking to Caroline while she was behind that glass. What a pity. I could only talk to my doll behind a glass! (will post her story soon) I also talked to my paper dolls which I made myself. They lived in an improvised dollhouse. I used matchboxes as furniture and my dollhouse was a corrugated box, sometimes I used a cigarette carton. Ahh, a child's innovativeness. I wonder where did it all go? I don't seem to have the same creativity now that I am older. But that's another narrative. I think I can only produce rubbish now...and perhaps children? Hold it. That's not all. There is something far more special than that beautiful (oh ha!) reflection in the mirror that looked like me (Har! Har Har!) and my dolls. There were lizards as well. Yes! That's right, those tiny crawling creatures with moderately elongate body and tapering tail...some might have another name for it, though. They are sometimes called wall or house lizards. Other times they are called house geckos. But let me just call it that. Lizard. At night, I developed this routine to converse with them before I'd fall asleep. There was one time, if I remember it right, when my Dad came home late from work. Remember that in those days, there were no mobile phones...(and telegrams came after a week, not the promised next day delivery...so if you'd send it, you'd arrive at your destination before your telegram). When Mom started to get worried, I would listen to the clicking sounds of the lizards. Tsk, tsk, tsk. I would close my eyes and converse with them. 'Is - my - fa - ther - safe?' One Tsk is equivalent to a syllable. Of course, I would interpret the Tsk-Tsk to what I wanted to hear, what did you expect? Funny, huh? All these imaginary friends come to mind now that I am away from home. I have forgotten them a long, long time ago and never spoken to them for years - if I ever did that at my age, I would probably be in a mental institution. Isn't it a universal truth that from the day we were born, we already have the need to communicate? A baby's uttering of its first word is always a milestone, a breakthrough that all mothers rejoice in. I have read somewhere that there was an experiment done by experts where they formed two groups of babies. The first group was cleaned and fed but no one ever communicated with them - verbally or otherwise. The second group was cleaned and fed...and carers communicated with these babies. After a period of time, it was discovered that the second group of babies grew faster and were healthier than the first group. This experiment only proves that we do need to communicate. It is this uniqueness that sets us apart from other creatures. This is most probably the reason why I am writing this piece. There is the internet now to communicate to practically everyone and anyone in the world. My friend, Rosemarie, was right in telling me that blogging helps. It would like to thank her for being an inspiration to create my own blogsite...(and to Makis for introducing Blogger to me). It sure eases boredom and makes me think. It fills my need to communicate. So, this time, I don't have to stand in front of the mirror or listen to the clicking sound of the house lizards (there isn't any here, anyway) or get dolls. I only have to sit down and immerse myself in the world wide web. It does help. PS: I will understand if you think that at an early age, I showed signs of a mental disorder - talking to lizards and all - but don't worry, I don't bite. Aha-ha-ha-ha!!! Interesting... I think that all kids have imaginary friends at some stage of their lives! It's normal... and usually a phase they go through. I think some adults kick up a fuss and blow it out of proportion. I'm sure there are millions of people who had imaginary friends during childhood and have turned out to be well-adjusted adults. As a writer, I totally understand. People talked in my head all the time when I was younger. They still do today. I write down what they're saying and add to it and create stories. Those were the signs you had a creative mind. It's all good! Len, thanks for joining us. I really enjoyed reading this post! You obviously had a very active imagination when you were younger, which you have taken advantage of and focused into your writing. Thank you for re-sharing that today! Lots of kids have imaginary friends. I think it's great. Now, talking to those house lizards, that's pretty darn creative! I enjoyed this post. Lots of fun! Neither of my kids has had an imaginary friend, and neither did I as a child. My sister had several, though. One was a lizard who she often claimed was sitting on her knee. She even composed a song entitled, not surprisingly, "Lizard on My Knee." Thanks for re-posting this so I got a chance to see it, Len! What a great repost! I am so glad I got to see it. 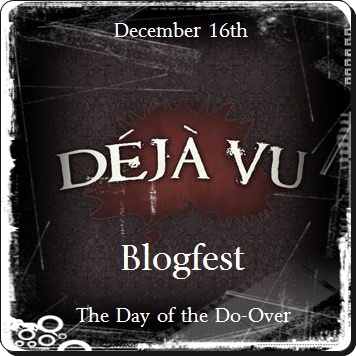 Nice to meet you through the blogfest! I'm sorry your doll was behind glass. Toys are meant to be loved and cuddled. My daughter talks to all her dolls and stuffed animals, even at age 9. I never had an imaginary friend, but I would think talking to a reflection would be an extension of that. @Mish - I'm so relieved to know that. @Old Kitty - Thank you, that's very kind. @Glynis - Oh my, thank goodness you had them, too! @M Christine Weber - You just gave me an idea! @LynNerdKelly - Thanks for visiting, will have to go over your blog too! @Sarah - I'd like to meet your sister! @Alison - nice to meet you, too! I'll come over and visit, too. Sorry I'm very late! @Margo - I used to use the smileys...I've stopped now as it slows my computer down.